Stephen is the CEO of Jet2.com and Jet2holidays. He has extensive experience in the travel industry having held roles with My Travel PLC, Thomas Cook and Libra Holidays. Stephen is a Fellow of the Institute for Travel and Tourism. Our interview followed the Jet2 All Stars vs Mambo charity football match in San Antonio. And so it came to pass, as predicted by The Ibizan, Mambo walked away with the honours in the charity match against the Jet2 All Stars. 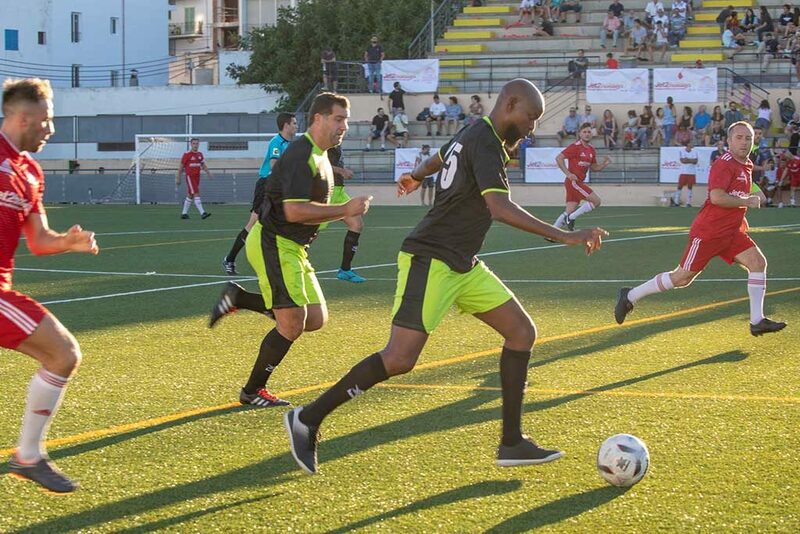 No real surprise as it seemed that Mambo had all the footballers up against Jet2’s cast of soap superstars. There was a great atmosphere at the game prompting one local Spanish newspaper to describe San Antonio’s football ground as a ‘Stadium of Dreams’. True, a large part of the crowd may have been less interested in the football than meeting their idols, and if the following morning’s Facebook timelines were anything to go by that was certainly the case. Unfortunately I was unable to get to the game, though I had family representation. We now have half a dozen autographed Jet2 flags in the house which Blue has told me I am not allowed to put on Ebay. As if? As I couldn’t get there we were particularly pleased to receive an invitation to a soiree at Ibiza’s Golf club in Roca Lisa the following evening. Strangely enough I had never previously had occasion to visit the golf club. Marvellous place. I had no idea it was so, well, green. I have no idea how they can keep all that grass in such good order but that is a subject for another day. We had arrived shortly before the Allstars and when they did come through the club house onto the terrace there were many greetings. I am no avid soap fan. In fact I do not think I have watched a soap in my dozen or more years in Ibiza. However, you do not need to be a soap fan to recognise those with the familiarity of ‘Kirky’ and ‘Tyrone’ from Corrie. It felt odd that somebody was introducing themselves to me while I was thinking “well I know you already” which of course we all do. I had taken my son along who was very keen to have a go on the driving range. We went down to the range and it was Andy Whyment, Kirky, who gave up his spot so that Blue could have a try. He said he was fed up with it anyway, and frankly he was rubbish. I don’t know what his difficulty with golf is, but the way he was slicing every shot I think we can safely assume he dresses on the left. I guess we were away about 30 minutes, and by the time we returned my wife had been surrounded by a dozen or so soap stars, including several that I would assume play ’bad boy’ roles in Hollyoaks. It turns out that in the time we were gone, she had married two of them and discovered she was actually her own sister, which has spiced up our home life no end. With most of the Allstars busy watching football in the club house, I got the chance to talk with Jet2 CEO Steve Heapy. 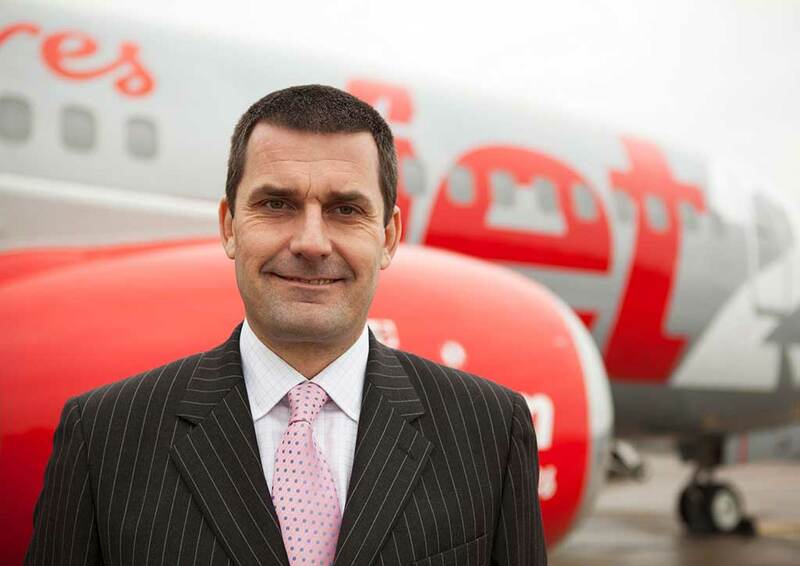 Interview with Steve Heapy Jet2.com and Jet2holidays C.E.O. Also referenced in this interview; Javier Anandon, owner of the Mambo group, passionate football and specifically Real Madrid fan; Andrea MacConnell, Jet2’s regional contracts manager and long-time tourism face of Jet2 in Ibiza. NG: Everybody had a great time at the football last night. Ibiza’s timelines have been full of soap star selfies today, how did the match come about? SH: Andrea and I were chatting with Javier one evening and I was telling him about the Jet2Allstars team. Javier agreed to play their football team against us and the rest is history. NG: Andrea MacConnell said the match was in part a result of her having to endure the longest and most boring conversation about football between Javier Anandon and yourself at Hostel La Torre. Can you remember that? SH: HA! Yes – Javier was talking about England ’66 and I was talking about Brazil ’70 and the conversation was lasting for ages. Andrea became completely bored and said “why don’t you just play a match, shut up and talk about something else”. So we did! NG: I thought it was just a one-off event, but Andy Whyment (Corrie’s Kirky) tells me it is a regular thing? SH: We play a series of matches each year against local charities and raise as much money as possible. 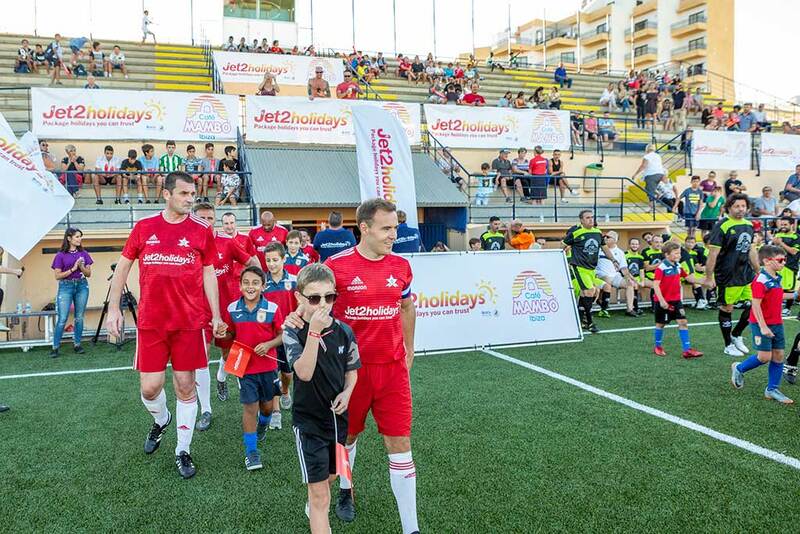 Jet2holidays sponsors the teams and the Jet2allstars give up their time for nothing. It’s a great thing to be involved with. The match on Friday was supposed to be a one off but Javier and I agreed that we would make it an annual event. Next year we will have our revenge! NG: Loved the Diario’s Stadium of Dreams headline. 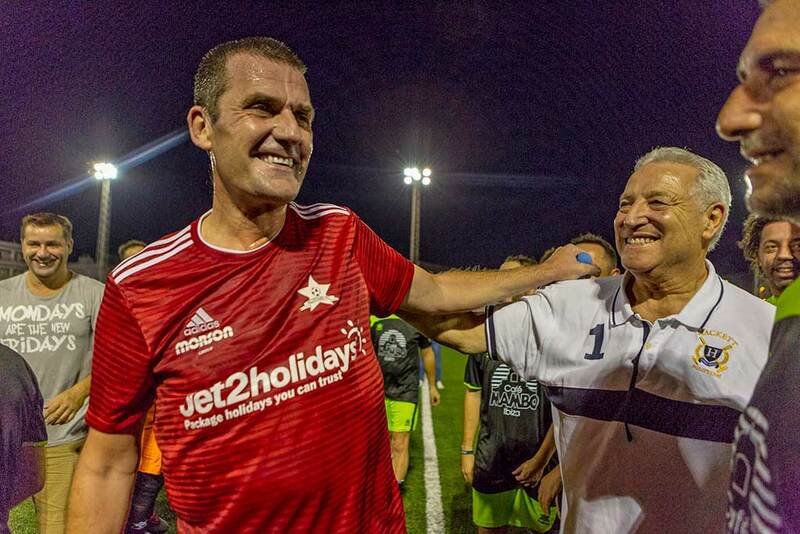 Any idea how much was raised last night, and come to that how much the Jet2 All Stars have raised in total? SH: Nearly €7,000 was raised which is a magnificent feat. I would like to thank everyone that attended and bought a raffle ticket. The Allstars team has been sponsored by Jet2holidays for 2 years now but has been going for years, Over that time it has raised hundreds of thousands of pounds. NG: Great stuff. So, can you tell our readers a bit more about Jet2 the company? Are you a numbers man, can you tell me things like how many planes, how many flights, routes etc.? SH: Is that a challenge? NG: I think it is. 91 Aircraft and 102 next year. We fly from 9 UK bases to 70 Destinations, and we fly 377 routes to 21 countries. What else? Yes, last year our airline carried nearly 11 million passengers and our tour operator 2.5 million passengers. How’s that? NG: Pretty impressive. I won’t ask you to try and do the same for Ibiza, that would seem a bit unfair, so I have come prepared. Jet2 have flown 2 million passengers on 15,000 flights to Ibiza since 2005. Jet2 bring more tourists to Ibiza than any other operator. In 2017 you increased Ibiza seats by 47% on the previous year. They are quite amazing numbers. I have always had an impression from Andrea and yourself that Jet2 consider Ibiza an important market. Is there a reason for that, or am I being blinded by flattery – do you tell all the islands they are special? SH: Ibiza is a fantastic destination for so many reasons and we have been proud to grow so quickly. Whilst others over the years have reduced flights, we have replaced that capacity and built up a fantastic portfolio of hotels for families, couples and groups. Ibiza has, with some people, a reputation for being a party Island but as we both know it has much more than that. St Eulalia. Portinax, Es Cana – all beautiful places. It is also a very relaxed island. I always feel at home when I am here and I have a number of friends in Ibiza. NG: When we talked at the end of the 2017 season, you were telling me about the frustrations of communication with some of Ibiza’s administrative institutions. That came as a great surprise to me. I would have thought the company bringing more tourists to the island than any other would have had Ibiza’s power-masters at your beck and call. Could you expand on that for our readers? SH: The priorities of Jet2.com, jet2holidays and the administrative institutions do not always match or go hand in hand. We want to continue to grow but they have many markets to represent so we are not always top of their list. 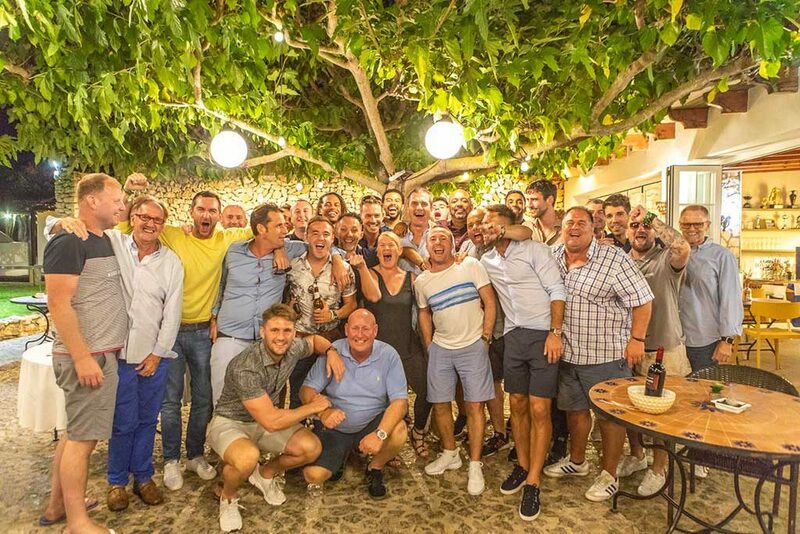 However, we have continued to invest and build year on year and we are now very proud to be the biggest tour operator from the UK to Ibiza by a long way. NG: Ibiza has not had its easiest year. We talked earlier about Ibiza’s perfect storm of news this year. A season marked by an awful series of human tragedies, a never-ending stream of new regulations and restrictions, and for the first time in decades a downturn in key tourism metrics. Do you see a slow down or reduced interest or business in Ibiza? SH: I think the proposed regulation relating to all inclusive hotels is very dangerous as it risks handing AI holidays on a plate to other destinations. If people want an all Inclusive holiday they will book it. If Ibiza doesn’t offer it, they will go somewhere else. Also, Ibiza is now the most expensive destination in the Mediterranean and I hope it doesn’t price itself out of the market, particularly with the threat from Turkey. However, we are still investing and growing in Ibiza and will work as hard as possible with our hotel partners to ensure that next year is successful. NG: Do you believe issues such as the human tragedy stories, hedonistic excess and, in so far as the way the UK press portray them, barmy regulations, influence Ibiza’s tourism business? Some people do take the view all publicity is good publicity. SH: I don’t agree that all publicity is good publicity. Ibiza has a great party scene and its can be hedonistic and excessive but some of the stories can be damaging (e.g. the drug problems). These stories will put off a number of potential bookers, particularly families. We need to make sure that the promotion and coverage of Ibiza is balanced. It is much more than a party island. NG: And the tourist tax? SH: The Balearics is the most expensive part of Spain and Ibiza the most expensive Island. The tourist tax makes these places even more expensive and therefore uncompetitive. Competition is everywhere and is at its strongest in the eastern Mediterranean. NG: Ibiza Consell, the Ibiza Tourist Board and all its Municipalities are of one voice in wanting to promote a new model of sustainable tourism. More sports, culture and heritage, less youth, clubs and booze. Is it an achievable aim? SH: Yes it is and I think it is a good idea. However, promoting new ideas, particularly where there are entrenched views, is difficult. It takes a lot of time, effort, enthusiasm and money. NG: I see you are starting your summer season schedule early next year. SH: Yes we start flying on April 7th. We feel there is enough demand to justify starting in April and the response so far has been encouraging. It is also very good for the island and the local economy as it brings in more money and creates more employment. It’s a win-win. NG: You are recruiting in Ibiza too. SH: Yes we have roles at the airport and also customer helper roles. We are a growing and very financially secure company and we need more colleagues to help us deliver the best flight and holiday experience to our customers. NG: Finally, Steve, a question man to man. Or more to the point one grown up boy to another. You are taking delivery of a further 34 Boeing 737s next year. That’s big news for business, but do you get excited in a ‘big boys toys’ way? SH: I do. We have nearly all of the new aircraft now and they are taking people on holiday to Spain, the Canaries and European leisure cities. It is very exciting taking delivery of new aircraft. NG: Do you get personally involved in the specification or the livery of the planes? SH: Yes we have two liveries. Jet2.com which is silver and Jet2holidays which is white. We have about the same number of each. If you are luck you will see that one of them has the café Mambo logo on the nose! NG: Do aeroplanes have a new aeroplane smell? SH: Ha! Yes they do. We are grateful to Steve for his time. 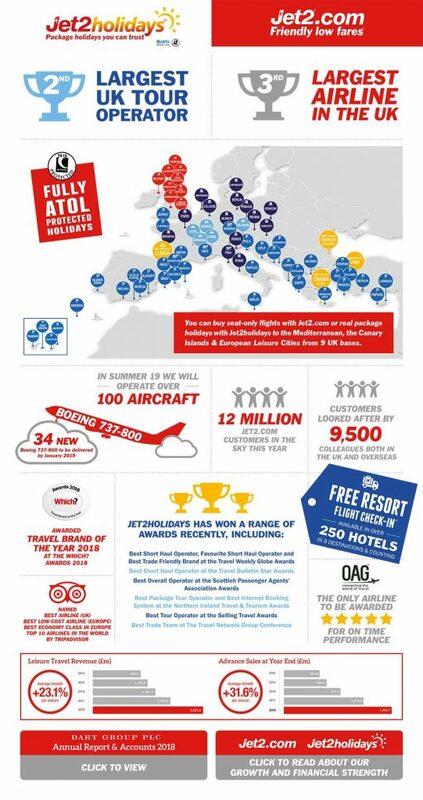 Want more Jet2 facts and figures? Of course you do. How’s this for an infographic?